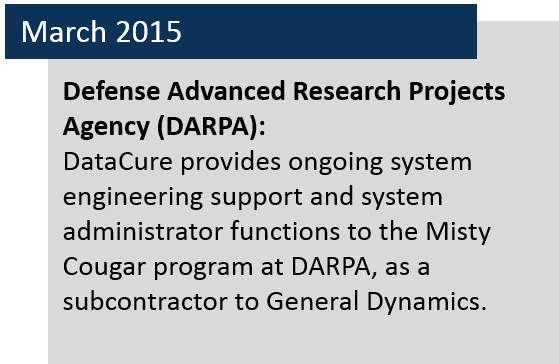 DataCure, Inc. is a woman-owned small business providing a full range of Information Technology services to government agencies and commercial firms. Our professionals continually push the boundaries of existing technologies while identifying alternative methods in seeking the right technology solutions for our customers. 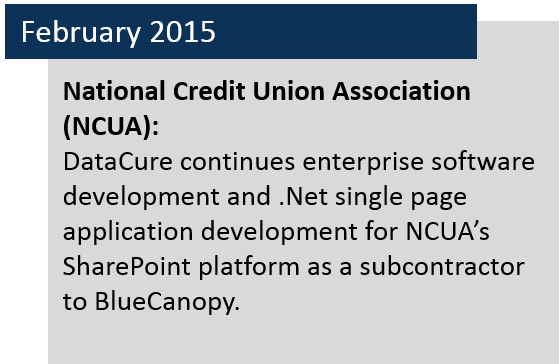 This, combined with our structured approach to delivering expertise, makes DataCure the right partner for your business. Our President, Donna Laiti, holds an MBA from James Madison University and is a certified Project Management Professional with over 20 years of contract management experience with the Federal Government and commerical firms. She understands the complex needs of the government and large industries. Her dedication and commitment to our company values promote a healthy and productive environment for DataCure employees and our customers. 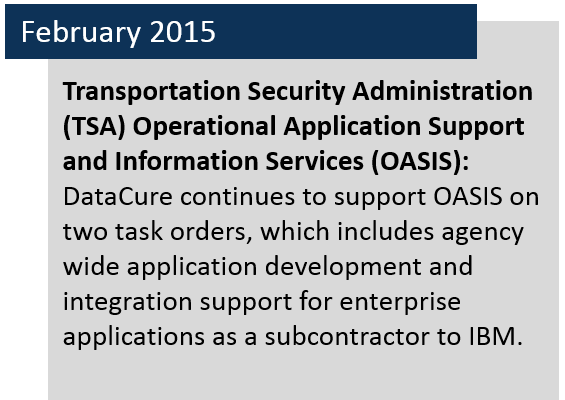 With over 15 years’ experience, DataCure's certified professionals can solve all your technology needs. We specialize in the fields of software engineering and development, custom SharePoint development, SharePoint administration, social media analysis, and beyond. Our employees are diligent and dedicated to our customers. We understand that our business is solely reliant on our ability to provide our customers with quality and reliability that exceeds their expectations. 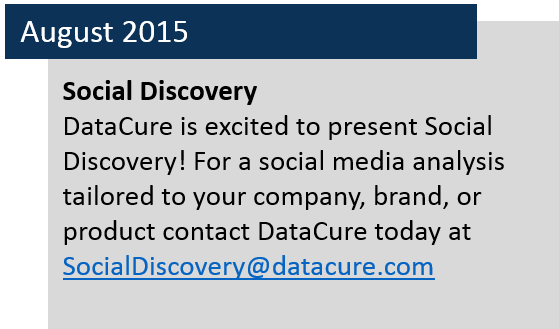 Check out the Social Discovery page for our exciting new product launch!